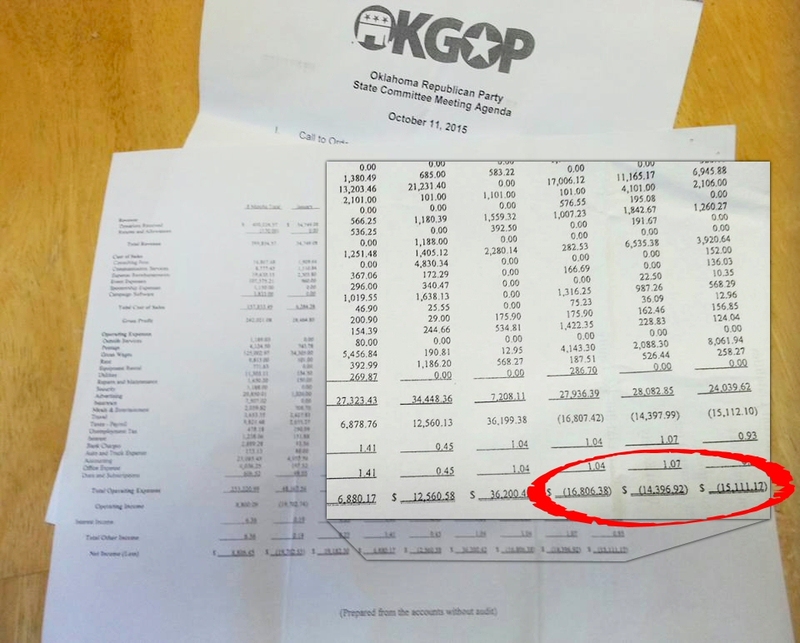 The OKGOP has run up about a $45K debt in the past 3 months. the practice of providing a real balance sheet. After getting out to a great start in financial recovery from the Weston debt, Chairman Randy Brogdon hit a ‘snag’ this summer in fundraising. Internal strife only added to the financial woes. Governor Fallin and many other state leaders have only offered armchair criticism, and the primary funding for party operations fell upon Tea Party activists to provide. Next Post: Can the House Elect a Non-Member Speaker?